In this post, I’ll introduce an R package RForcecom and its usage. As you may know, R statistical computing environment is the most populous statistical computing software, and Salesforce.com is the world’s most innovative cloud-computing based SaaS (Software-as-a-Service) CRM package. RForcecom enables you to connect to Salesforce.com from R. It is provided as an add-on package of R and its source code are available at github. 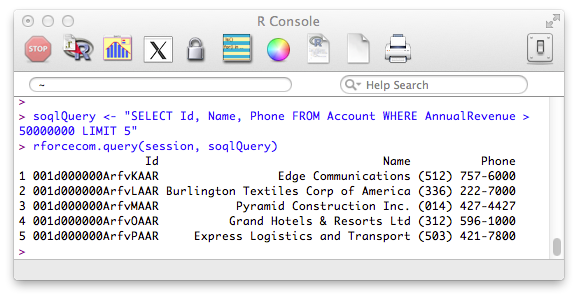 You can download the latest R statistical computing environment from the R-Project website. 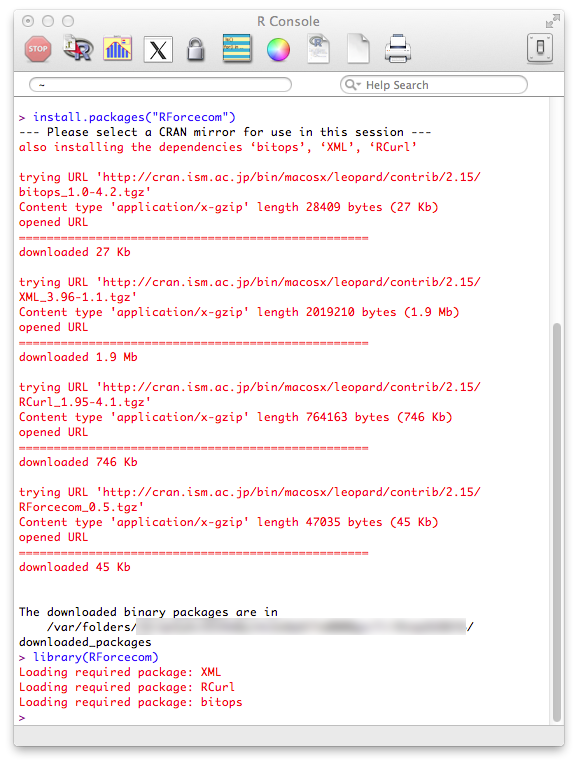 Type the commands from your R console to install and load the RForcecom. To sign in to the Salesforce.com, use rforcecom.login() function. Set your username, password, instance URL, API version as follows. Note: DO NOT FORGET your security token in password field. 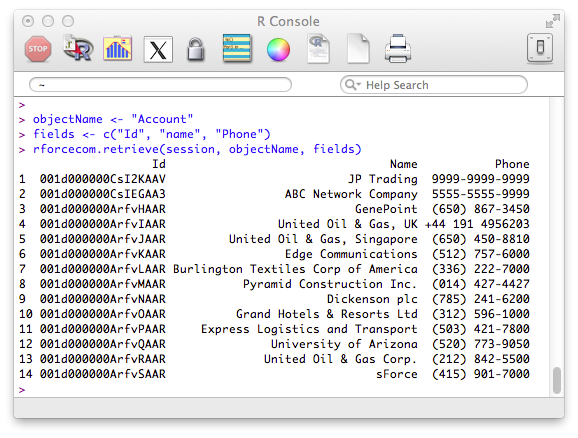 To retrieve the dataset, use rforcecom.retrieve() function. Set parameters as follows. 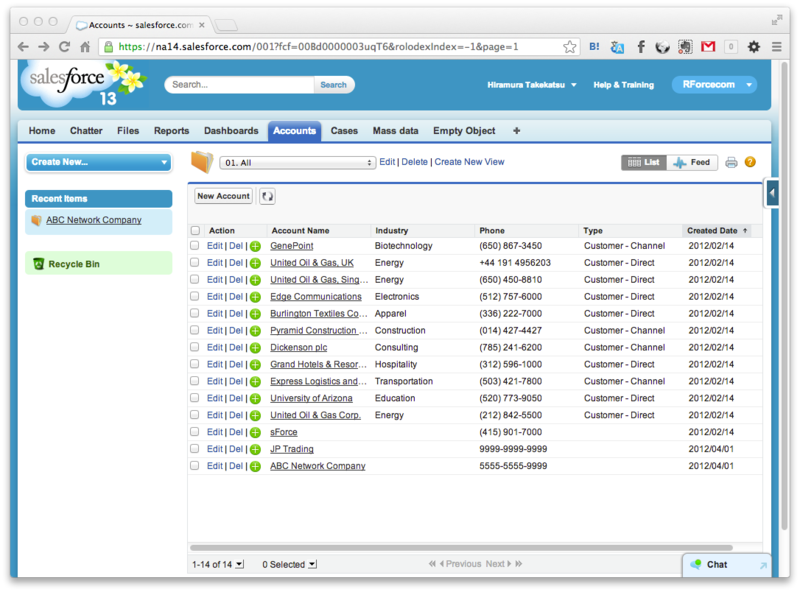 To retrieve the dataset using SOQL (Salesforce Object Query Language), use rforcecom.query() function. Set parameters as follows. soqlQuery <- "SELECT Id, Name, Phone FROM Account WHERE AnnualRevenue > 50000 LIMIT 5"
To Create a record, use rforcecom.insert() function. 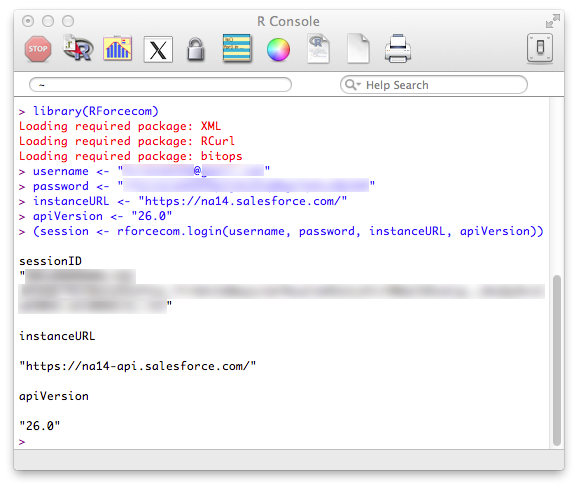 To retrieve a server timestamp from Salesforce.com server, use rforcecom.getServerTimestamp() function. 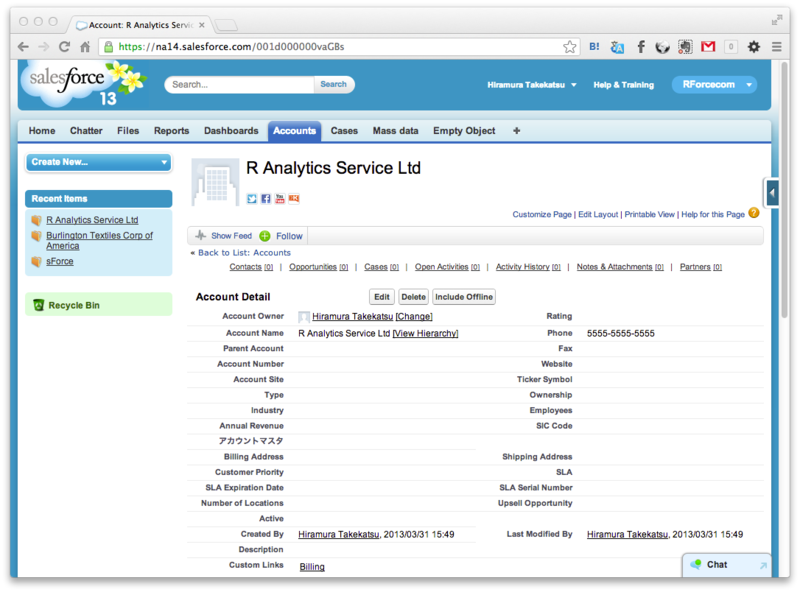 These procedures are very easy and are very useful for projects using R and Salesforce.com. Next post, I’ll introduce an example of a use case of RForcecom.